4.2.13. I finally got around to watching The Hobbit this last weekend. I know, I am WAY behind on this. In addition to being really pleased with the movie (though quite long and quite 'Hollywoody'), I was especially pleased to see something in the production video segments that are part of Peter Jackson’s Video Blogs on the making of The Hobbit: An Unexpected Journey that are part of The Hobbit Blog. Here at Future-ish, we are all about science, design, and culture shaping the future. It is the culture part of the equation that is often the hardest element to ensure gets included in discussions of future-shaping people, projects, and ideas. We also always do our best to seek out stories of culture playing a role in shaping the future. We also do our best to honor the people, place, and host culture of places where we live, work, play, and travel. 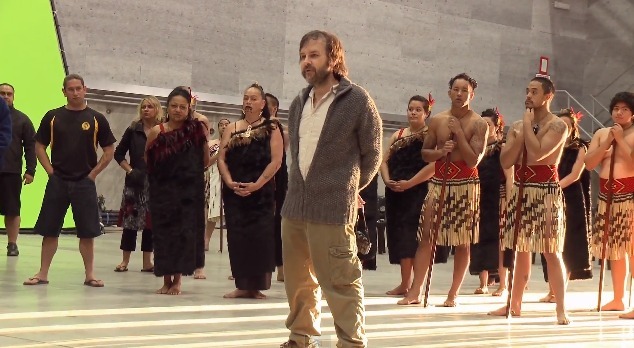 So, when I saw a Pōwhiri (a Māori Welcoming Ceremony) in Production Video #1 (see below, about seven minutes in), I literally jumped out of my comfy couch. Best of all, it is clear in the video that Peter Jackson, Martin Freeman, Richard Armitage, and the entire cast and crew appreciated the unique value the Pōwhiri added to the entire project. This is a great real world example of honoring people, place, and the host culture "in a good way" as is often said. Just imagine if every film project was started by asking the host culture of the location to participate in a welcoming event. It allows both sides of the project, the host culture and the guests, to start things off the way these things should be started off. Kudos to Peter Jackson, lets hope this catches on across the industry and becomes a best practice...or even better, a standard.